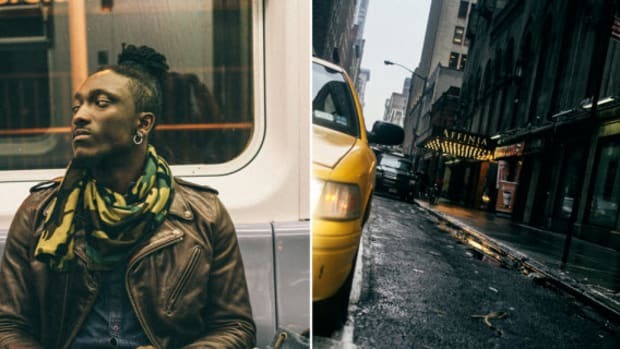 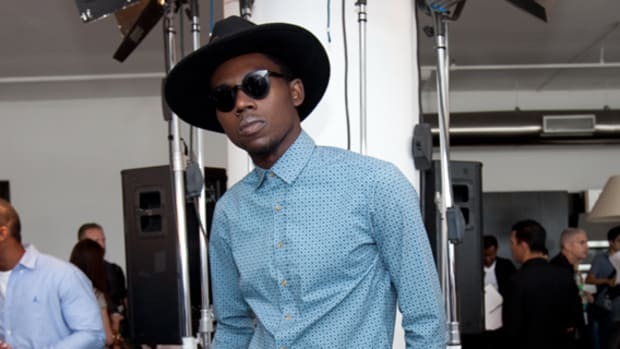 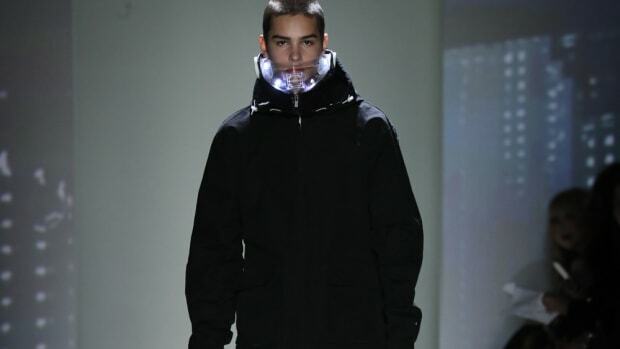 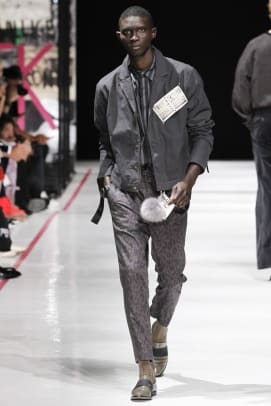 New York Fashion Week: Men&apos;s has come and gone, wrapping up a runway season that began in London and ran through Florence, Milan and Paris, but the still-young event, now in its third season, will continue to reverberate online in the months ahead. 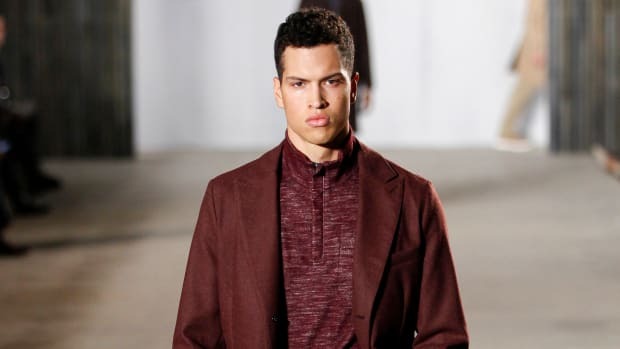 The shows were concentrated at Skylight Clarkson Sq with a roster of 64 designers in all, with emerging labels -- Carlos Campos among them -- joining sure hands like Robert Geller. 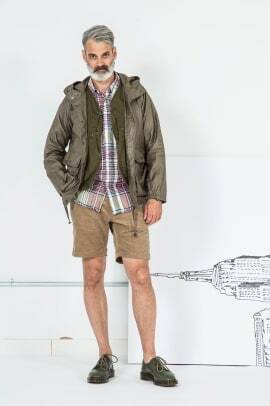 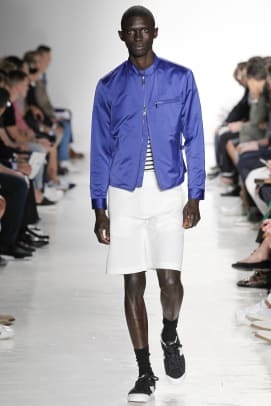 There were surprising trends carried over from Europe, including the frequent usage of cobalt blue, as seen at Todd Snyder, and wide-leg trousers, which have long been a common sight at Engineered Garments shows. 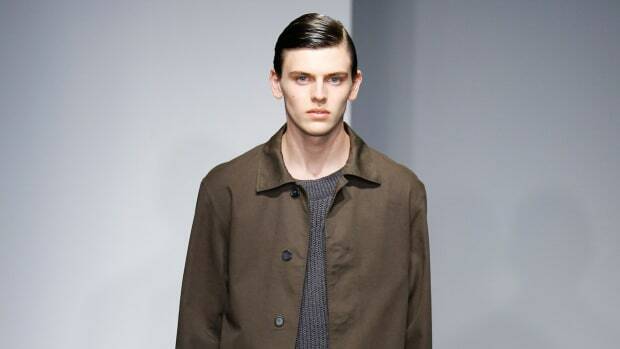 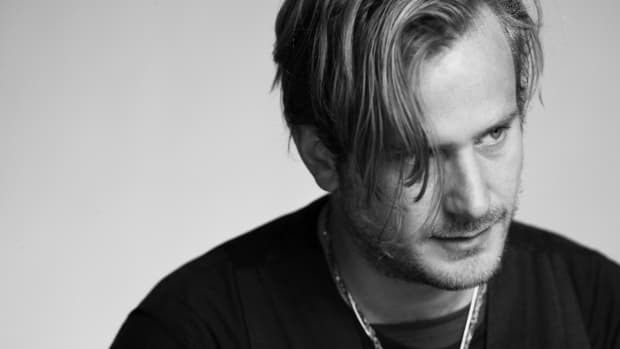 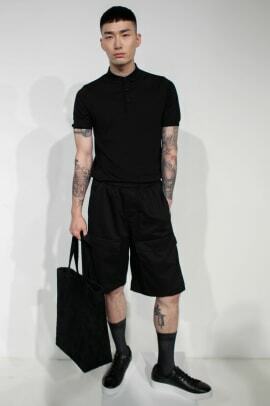 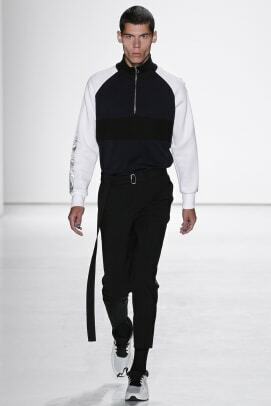 Those aforementioned designers join Stampd and Tim Coppens as six designers to watch from New York Fashion Week: Men&apos;s.
Geller, long inspired by the New Romantics, looked to Berlin youth in the &apos;80s for a shot of color and florals to embellish his customary dark color palette. 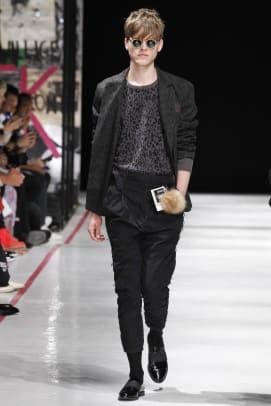 Soft silhouettes, including long trenches, baggy shorts and relaxed bombers, were made even softer with the generous use of silken fabrics. 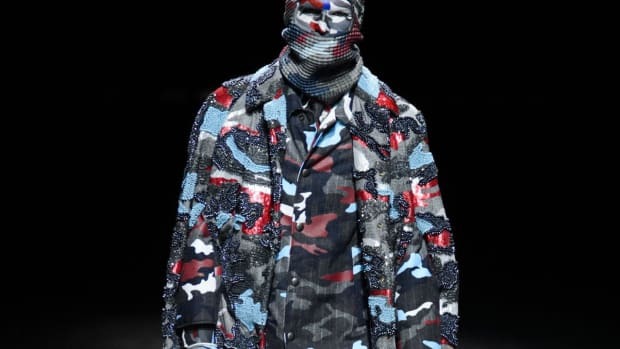 Accents that added a level of sophistication included tonal paisleys, florals and subtle leopard prints. 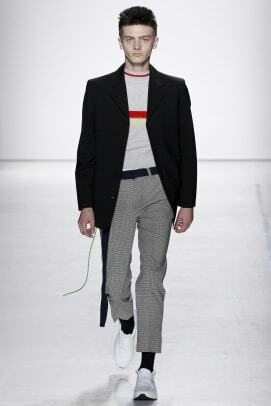 Chris Stamp continued to explore military influences on contemporary style at his second showing at New York Fashion Week: Men’s, Knits were plentiful here, featuring open weaves and oversized proportions, while his tailored clothing was similarly laid-back and relaxed, typified by a sport coat worn over an elongated tee and shorts. 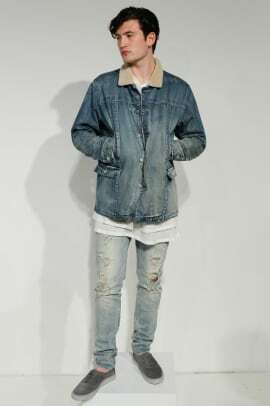 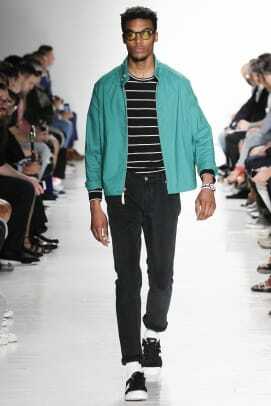 According to Daiki Suzuki, Spring 2017 was about "going back to our core and staying loyal to our customers, basically tweaking the items they love." 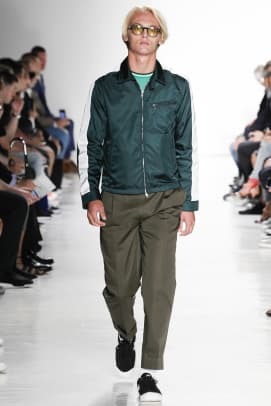 And what EG&apos;s customers love is the brand&apos;s modern take on heritage and workwear, rendered in neutral shades and premium materials with a crumpled, worn-in aesthetic, all of which were present in the collection. 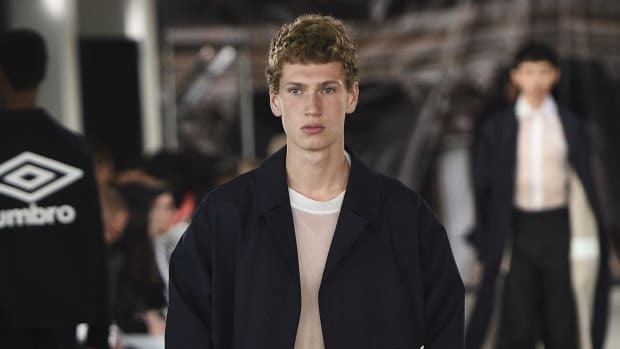 Tim Coppens borrowed influences from Japan and early &apos;90s club kids, blending angular patch pockets and grid patterns with delicate silhouettes. 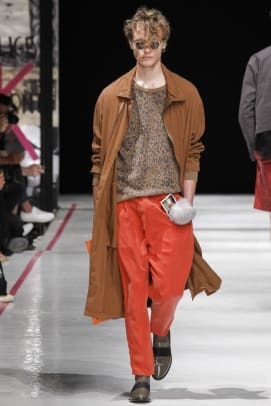 There were color-blocked anoraks, slouchy trousers and parachute jackets, resulting in layered looks that presented a youthful and appealing dishabille. 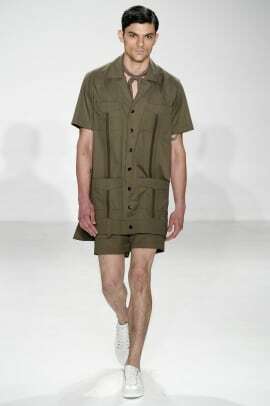 Carlos Campos looked to Cuba for his Spring 2017 collection, which blended military colors with swinging art-deco geometric lines. 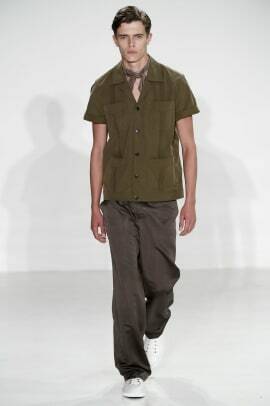 There was a strong utilitarian sensibility in the jumpsuits and outerwear, contrasted with the lounge pieces accented with neck scarves and relaxed Havana shirts. 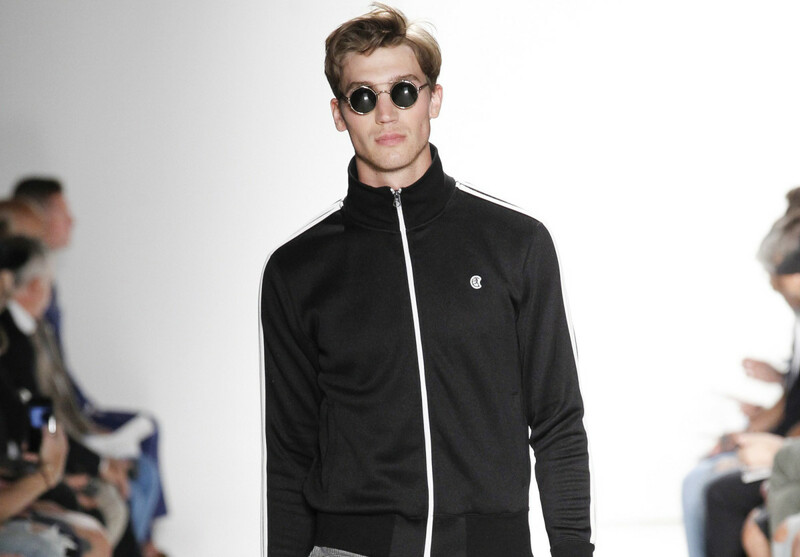 Seemingly influenced by his long-standing collaboration with Champion, Todd Snyder revealed a sporty collection tailor made for the active wearer. 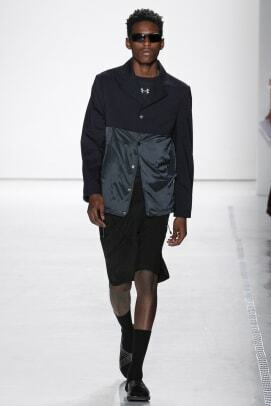 Instead of blazers and suiting, the offerings included satin basketball shorts retro track suits, all rendered in a retro all-American sensibility.